The White House confirmed Monday that President Trump met with Deputy Attorney General Rod Rosenstein, FBI Director Christopher Wray, and Director of National Intelligence Dan Coats Monday at 3:00 p.m. ET, CBS News' Paula Reid and Major Garrett confirm. The meeting, which was originally scheduled for last week -- before the president's tweet demanding a DOJ investigation of the possible infiltration of his campaign -- focused on the response to congressional requests for documents, according to White House Press Secretary Sarah Huckabee Sanders. "Based on the meeting with the President, the Department of Justice has asked the Inspector General to expand its current investigation to include any irregularities with the Federal Bureau of Investigation's or the Department of Justice's tactics concerning the Trump Campaign," Sanders said in a statement. "It was also agreed that White House Chief of Staff Kelly will immediately set up a meeting with the FBI, DOJ, and DNI together with Congressional Leaders to review highly classified and other information they have requested." ABC News first reported on the president's meeting with top national security officials. The president tweeted Sunday that he would officially request that the Justice Department investigate whether the FBI or DOJ "infiltrated or surveilled the Trump Campaign for Political Purposes." According to tweets Friday, Mr. Trump believes that the FBI "implanted" a spy in his campaign, which stems from a National Review article theorizing that this might be the case, and that the DOJ is "out to frame" him. 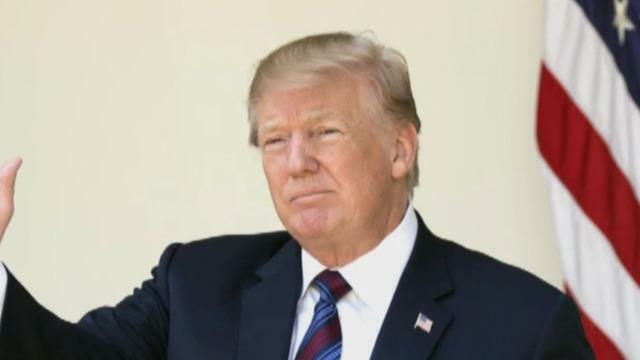 A follow-up tweet Saturday reiterated the president's conviction that the DOJ "put a Spy in the Trump Campaign," which he says may only be brought to light by revealing classified documents from congressional investigations. Rosenstein and Wray frequently visit the White House to discuss national security. CBS News' Paula Reid and Major Garrett contributed to this report.